← Day 100: Own and Wear CROCS in Public. 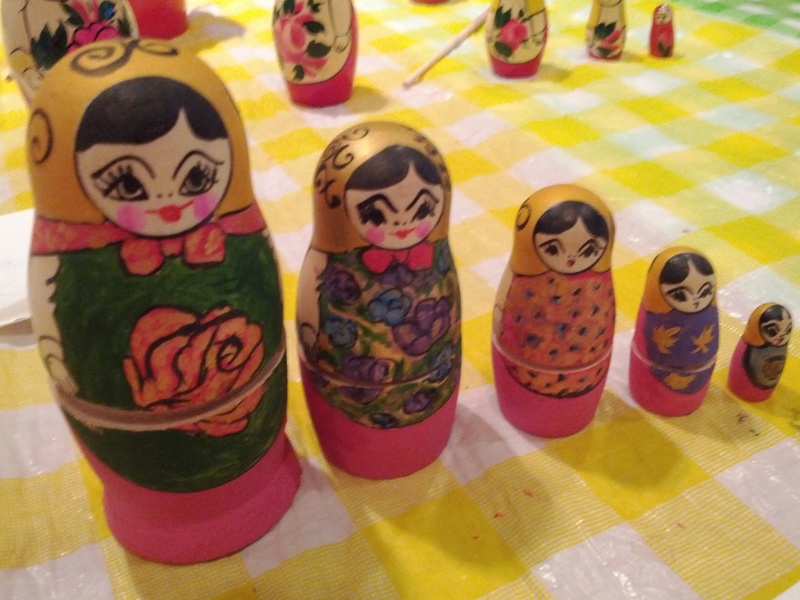 Day 101: Russian Doll Painting Workshop. You know what time it is – why, Super Saver Saturdays, of course! 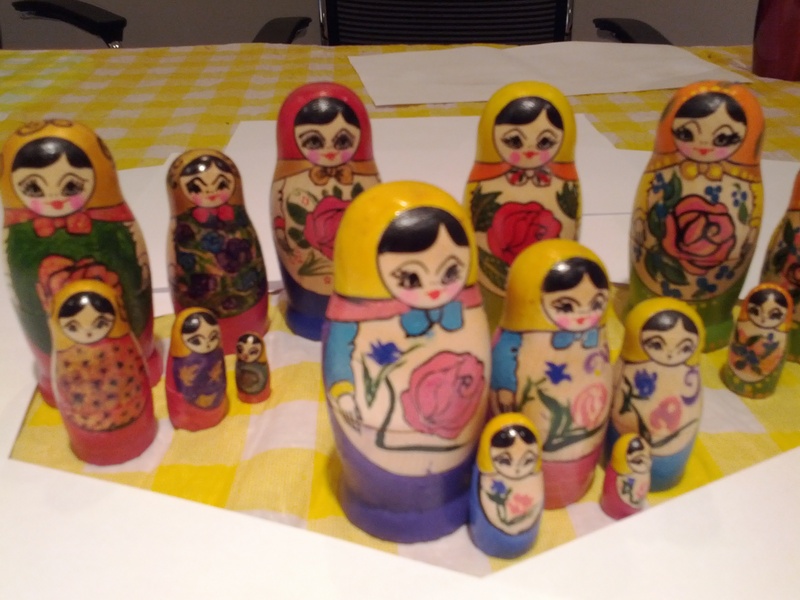 Today’s voucher for a Matryoshka Russian doll making workshop (paid $35, retail value $110) took me all the way behind the no-longer-iron curtain, which has apparently moved to near Yonge and Sheppard, into the world of painting Russian nested dolls. I, for one, was completely unaware that the funky hollow wooden doll that comes apart in the middle to reveal a whole extended family, of which I was given a set as a child, had such a rich history to it. Like many Russian hobbies, it also had a name that was a whole lot of fun to say when shooting vodka – at least, so I’ve heard. 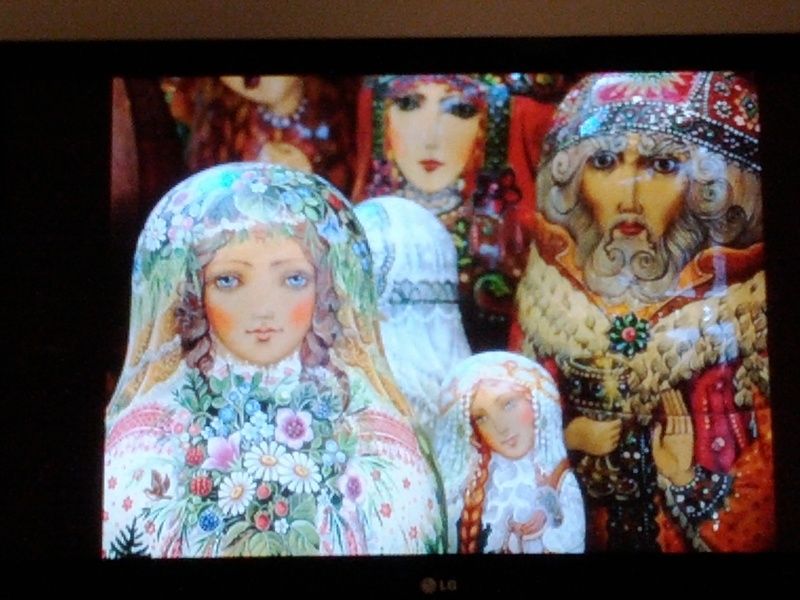 I arrived in time for the video presentation on examples of Russian painting styles throughout the ages, which proved to be quite interesting. 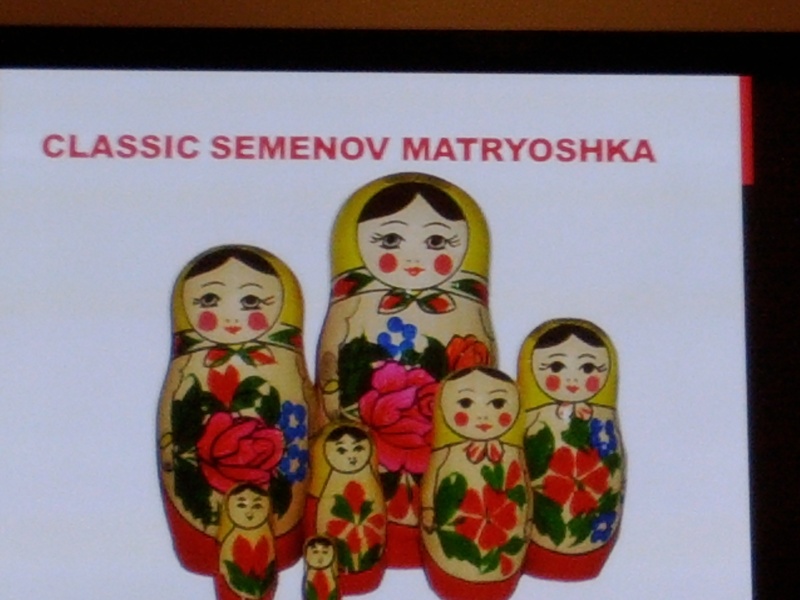 We were also entertained with a brief video that showed the handcrafting of the raw dolls themselves in Russian woodworking studios. We had plenty of tea and traditional Russian biscuits known as priyanik (for the rich) and sushki (for the poor) to nibble on throughout the day, while Russian music played in the background to help release our inner Raphaels – or more like Picasso, in my case. Practice makes… a good start. Nathalie was our instructor, and she smartly coached us on a few techniques that we first attempted on paper before trying to put them into actual practice on our blank wooden dolls. It didn’t take long before some of us strayed completely from the traditional style to paint our own unique masterpieces. 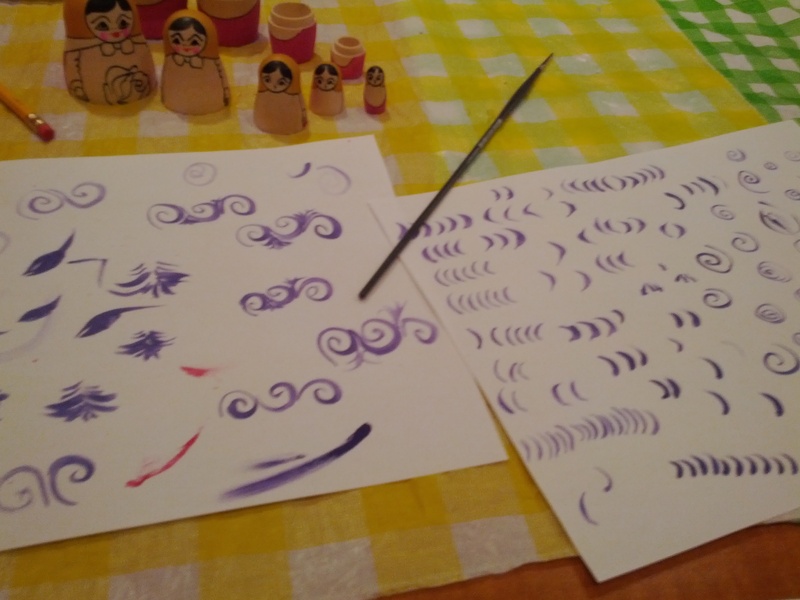 I mean, I did try some of the things Nathalie painstakingly showed us again and again on paper, but somehow, they just didn’t quite look the same on the rounded dolls, go figure. While a couple of the girls in the workshop did follow the instructions almost to the letter, and produced some lovely pieces (Nathalie informed us that we would probably only be able to complete painting one or two dolls in the four-hour workshop), I managed to finish all five of mine. Curiously, no one else tried to claim them as their own, but they did all enthusiastically comment on their uniqueness. I don’t know, I’m pretty pleased with them. I mean, let’s be honest, they could have turned out a heckuva lot worse! 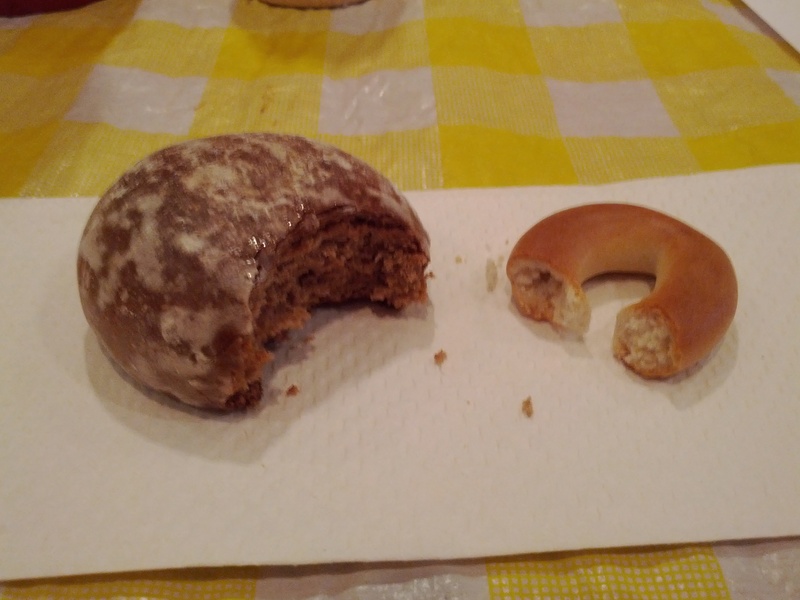 My beautiful, well, original at least, creations. All in all, it was a fun way to spend an afternoon, doing something completely different that made you use a part of your brain that might not get exercised very often. I felt transported out of my usual surroundings, forgetting my day to day life, and was able to concentrate on a small family of shiny objects. Plus, I got to take home my beautiful creations, and contemplated which one of my friends or family members should be so lucky as to receive this very personalized homemade gift. Could it be you? Let them eat cake. Or sushki. 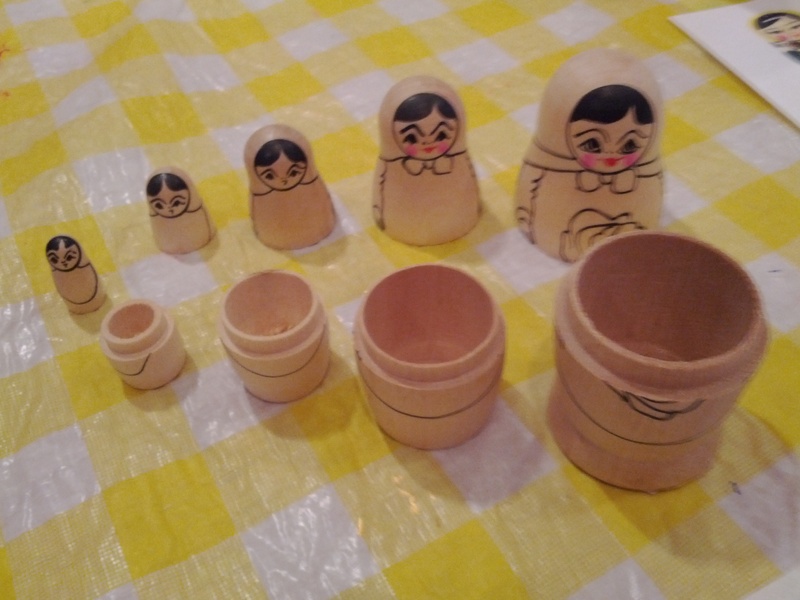 This entry was posted in Educational and tagged deal, Educational, June, Matryoshka Russian doll making workshop, Russian doll painting workshop, Toronto, voucher. Bookmark the permalink.